Product prices and availability are accurate as of 2019-04-21 02:36:00 +08 and are subject to change. Any price and availability information displayed on http://www.amazon.com/ at the time of purchase will apply to the purchase of this product. 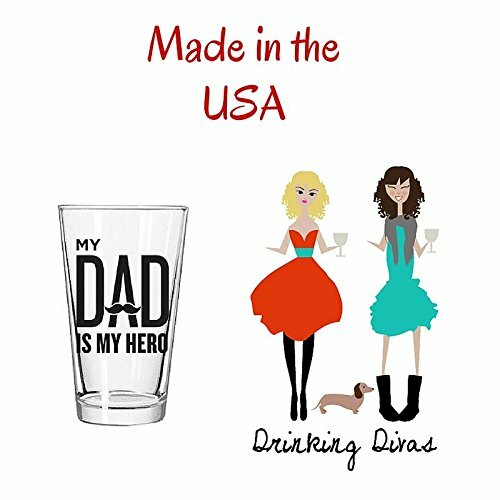 The Drinking Divas 'My Dad Is My Hero' decorated beer glass is the perfect addition to any father's drinking lineup. Some Dads are a little older and some are a little younger. Some burn through daytime work while others burn the midnight oil on 3rd shift. No matter who they are - every loving father deserves some appreciation! 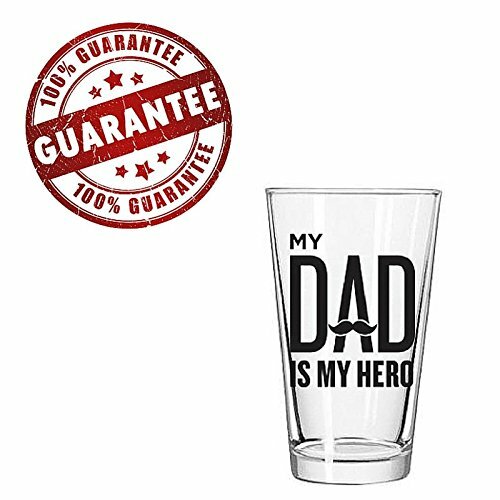 Designed for beer-connoisseurs, beer-enthusiasts and beer-casuals alike - this premium 16 oz pint glass is sure to become the #1 go-to glass when he wants to pour a cold one! BUY MORE THAN JUST ONE so he can "cheers", bond and share a knowing smile with his buddies and relatives! 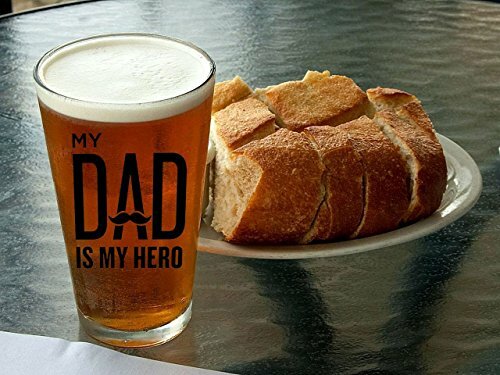 Even if he's not a beer drinker - this multi-purpose glass is ideal for showing off Dad cred while drinking a glass of water, juice, soda, smoothie, iced tea & coffee or any other refreshment! Superman, Batman, Iron Man are great... but there's no superpower greater than being an amazing father! 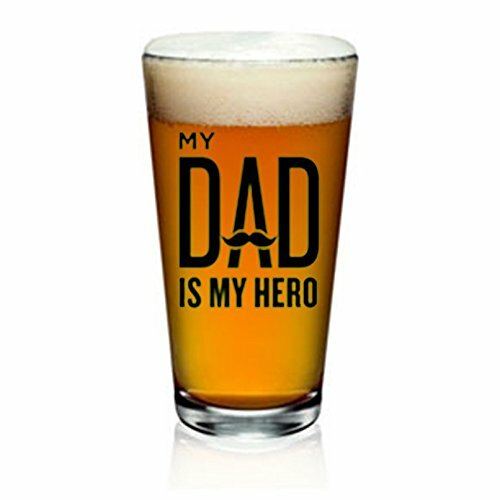 Make that beer-loving Dad feel as special as he deserves every day...Click ADD TO CART and order TODAY! AWESOME GIFT FOR SUPER DAD! Say "I love you" with a premium present for birthday or special occasion STURDY & HIGH-QUALITY GLASS. Chip and scratch resistant. Vivid print that won't fade. Packed with care in a strong gift box for super safe arrival. Dishwasher safe. Lead free. 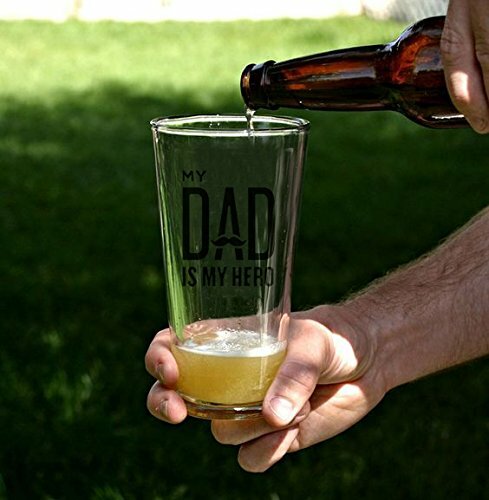 Made in the U.S.A. A favorite BEER MUG that's a popular gift for dad who enjoy sweet gifts from their loved ones. Chill and serve ale, lager, stouts, porters and other types of beer. A GIFT HE'LL LOVE. TELL your favorite guy you care. Multi-purpose pint glass for drinks of all kinds, including water, soda, smoothies, and iced coffee or tea. BEER DRINKING DAD will appreciate this sentimental present for dads who enjoy good times. Order your special drinkware today-worry-free! 100% money back guaranteed.